After the Conference: Recharge in the Rockies! You can walk or bike the many trails within the town of Canmore. Tuck your flower guide under your arm, and check out spectacular wildflowers – either in Canmore, or as you explore one of the many trails at nearby Bow Valley Provincial Park, just 27 km east of Canmore (towards Calgary). Cycle the fabulous Legacy Trail that connects Canmore and the town of Banff just 20 km away. Don your hiking boots and your ready-for-anything backpack, and head out on one of the local hiking trails around the town of Canmore, or in nearby Kananaskis Country. Please note that you will likely hit snowline if you gain a lot of elevation – then the trails get very icy, and so we don’t recommend hiking in snow. Plan your visit to Banff, Lake Louise, and the nearby Banff National Park. Please note that these are merely suggestions for activities for you in your free time – this is not part of our conference. Please be prepared and be safe in all outdoor activities! 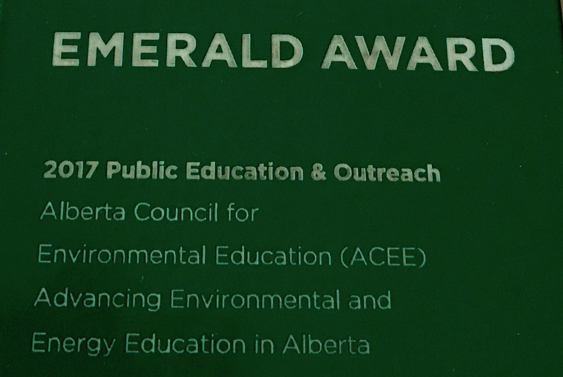 The Alberta Council for Environmental Education bears no responsibility for your safety after the conference is over – that part, as always, is up to you!